Entertain the kids in Tongariro Holiday Park's purpose-built funky playground. Grab a ball and head out on to our spacious park-like grounds for a game of rugby, soccer or volley ball. Guests are welcome to use the variety of sports equipment on offer. Guests love soaking in our hot tub – the perfect end to a long day traversing the Tongariro Alpine Crossing. Our spa pool is completely private and available by booking a time at the office with a small charge. 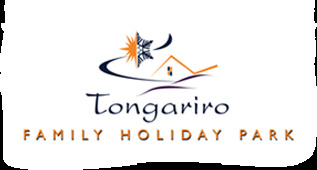 Tongariro Holiday Park is perfectly equipped to host large groups – school groups, camps, clubs, teams, societies and more. We can cater breakfast, lunch and dinner for up to 65 people in our separate, purpose-built commercial kitchen. Larger groups may be possible by arrangement. Toilets are housed separately to our shower blocks. Hot showers are free and guests often say they love the strong pressure of the water, perfect after a long day trekking or on the snow! Our bathrooms also have hand and hairdryers. Our laundry has a washing machine and dryer which are both coin operated. Change is available from the office. The laundry also offers a washing tub and plenty of washing line space outside. Tongariro Holiday Park has a dedicated drying room for all your snow gear in the winter. Dry overnight and you’re ready to hit Mount Ruapehu at first light. The communal kitchen is a great place to get together for a friendly meal. It has fridges, stoves and a microwave, toasters, kettles, pots and pans. YOU WILL NEED YOUR OWN plates, bowls and cutlery. There is no cooking or eating utensils supplied. There are three large tables which can sit 10-12 people for eating in, or you can make use of the outdoor BBQ for al fresco dining! We accept cash or Eftpos, as well as MasterCard and Visa credit cards.